On leaving college or high school, most people don't have a lot to put on their résumé - and so our high school graduate résumé template is a very simple affair with just the basics for you to fill out. 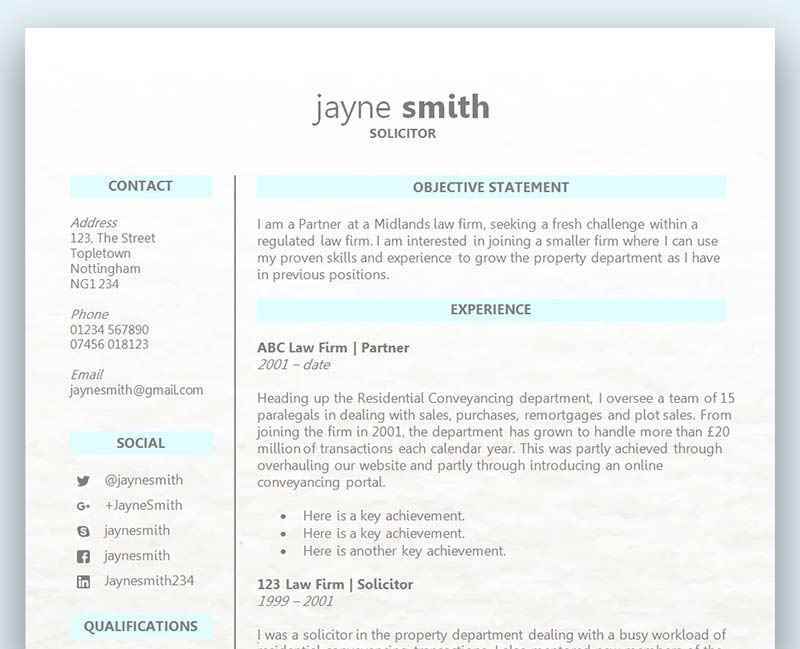 A pretty soft grey dotted border adds a little interest to the template and matches the main headings, ensuring that your résumé is stylish without feeling cluttered or distracting. The basic sections - work experience, skills and education - can be easily copied and pasted if you would like to add different sections such as an objective, interests and hobbies, and references. Free high school graduate résumé template (alternative version)	Overall rating:	3	out of 5 based on 1	reviews. A simple résumé template that uses the Century Gothic font for a very clean, nicely laid out appearance. The grey border and grey headers are a very subtle styling element that help the résumé stand out without detracting from the core information. As a high school leaver, you may not have much to include on your résumé - but don't be afraid to expand it by copying and pasting the additional sections to pad out what you do have. What does an employer look for in a CV? A successful and professional CV will stand out from the rest of the other applicants. Although each employer is looking for a different set of qualifications and skills, the foundation of what they search for is equal across the board. How your CV attracts the eye is the first important point to consider. Remember, your first impression isn’t in the interview as your CV is the first contact that’s made which represents and showcases you. A well presented and professionally structured CV is an absolute must, because if it isn’t you may find your CV doesn’t get read for very long. Even if the employer isn’t put off from reading all of it you have instantly created a sloppy first impression. Has your CV been organised in a typical professional manner? Is it easy to read using bullet points where applicable to separate important information? Is your CV efficient and focused on the role? Are there too many clichés? Is your CV completely 100% free of spelling and grammatical errors? Consider using a CV template to ensure the overall presentation of your CV is to the highest standard. Choosing to create your own CV from scratch is risky, and instead we would always recommend letting a professional handle the layout of your CV. With the amount of hours you’d save it’s certainly worth considering. Your CV needs to be tailored to the role you are applying for, ensuring that any irrelevant information is either taken out or pushed to the back. If you have an extensive amount of work history dating back many years, you may need to consider if it’s too much irrelevant information and merely padding out your CV. You don’t want to have any gaps in your employment time line if you can help it, but on the other hand you don’t need to list all the tasks. Try to be smart with your work history and only provide details on the most relevant roles. Your aim is to show how your experience can transfer over to the new role, so the employer can quickly see that your history will be of benefit to them. After you’ve written your CV, go back over everything to see how much of your information relates to the role and the company. It’s not usually possible to have every section of your CV perfectly tailored and relevant to the employer, but you can certainly try for most of it. Look for both soft and hard skills that can easily be transferable to the new role, and make it clear on your CV that you are ticking all the right boxes. If you simply list your main tasks and responsibilities for your past roles, then you are not giving enough information to the employer to show them you are the best person for the job. An employer is looking for dynamic individuals that go outside of the box, and have a proven track record when it comes to success. Think about how many other people will be applying for the role that has the same if not more experience, skills and qualifications than you. How are you going to stand out from the crowd? An employer will always want to see how you performed in your previous endeavours and what you have achieved to date. Don’t be afraid to state that you changed or added a new process or system that improved productivity or customer experience. An employer doesn’t want to see a plodder, and someone who just completes the task as presented to them. Sure, you need to be good at your job and it’s important to get the basics right, but a ‘dynamic outside of the box thinker’ is someone that doesn’t just do what’s asked of them, and is someone who strives to make improvements which benefit results and impact efficiency, as well as benefit the company and the customer. Ask yourself – How can my CV demonstrate my performance? Any example of where you achieved this in a role should be stated on your CV – but make sure you keep it concise and to the point. Actual numbers and results should also be included. For example, ‘I sold 23 cars in the month of September, which was a record for 2017′.